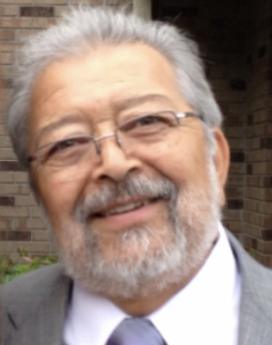 Richard William Lopez, age 77, entered into rest on February 9, 2019. He is survived by his wife, Leslie Lopez; his 2 sons, Brian William Lopez (Holly) and Jon Lopez; his sister, Inez Miller and his grandchildren. He was preceded in death by his son, Jeffrey Lopez and his parents Rigoberto & Ruth Valles Lopez. A special thanks to his friends Karl and Beverly Weis, Michael and Dorothy Baxter, L.D. and Donna Evans and Paige Foskey (the daughter he never had) for their friendship and care during Richard’s illness. He will be greatly missed by all of his cats, but Maggie and Caeser were his most beloved animals. He enjoyed spending his free time the last 18 years volunteering at the Columbia County Humane Society, where he and his wife fostered out over 150 cats. He was also an avid bowler for 30 years. Richard, a native of Los Angeles, California, lived in Augusta for the past 35 years where he was retired from SRS as an Engineer. He was a Veteran of the US Army and the Army Reserves. The family will have visitors at McNeill Funeral Home on February 15, 2019 from 5-7 PM. Services will be held at Fleming Baptist Church on Peach Orchard Road on February 16, 2019 at 10:00 AM. In lieu of flowers please make donations to the Columbia County Humane Society.